Agriculture Solar integrates their multiple technologies for the advantage of cold storage owners. "Our systems combine improved efficiency, energy generation, and power storage to give back the power to the owner," says Seth Pepper of Agriculture Solar. Today's cold stores food processors and distributors are warming up to having the sun and wind contribute to their bottom line thanks to advanced technologies in Agriculture Solar systems. For many refrigerated cold food storage facilities, even the littlest bit of sunlight is an advantage, as the Agriculture Solar tracking system follows the sun and ensures panels are tilted for maximum exposure improving performance by over 25%. "By using the existing roof and not having to penetrate the membrane, we are able to create a solar power plant retro-fitted to their pre-existing warehouse structure without voiding any warranties," says Seth. Whether food distributor companies construct, expand or revamp their facilities, they're reaping the benefits of installing this solar roofing system along with other technologies that achieve more with less. For instance, lighting is an overlooked opportunity for large savings. Lighting coldstorage areas that are designed to be kept at cold temperature is a unique application. Traditional lighting equipment produces heat, so there is an imbalance with hot lights operating in a cold space. 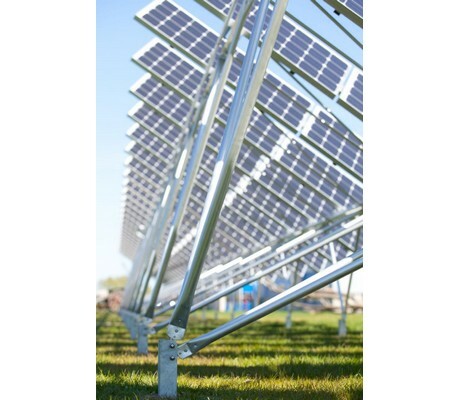 Agriculture Solar LED lighting system's performance increases as temperatures drop. This makes their LED systems a natural fit for lighting cold storage facilities. Agriculture Solar LED lighting systems provides over 150,000 maintenance-free hours and consumes 76% less energy than the originally designed HID system. Energy conservation is further increased through the use of their system motion sensors in cold storage warehouse areas that instantly activate lighting in rest-mode to 100% brightness when activity is detected. "Agriculture Solar works specifically on integrating solutions for the food refrigeration industry," says Chuck Helmke, principle for company. “Given the obvious challenges inherent in the cold storage business with limited space and high energy demands, every precaution has been taken to create a turn-key solution from the inside-out. Independent energy systems are now a reality for our clients." For complete independence, the addition of the Agriculture Solar energy storage technology is a game-changer that allows customers the freedom to run their refrigerated storage business as they sees fit. Agribusiness owners have begun to discover that their electric utility bills are being affected by high electrical charges, and now look for a way to significantly reduce dependency. The system works by generating solar and wind energy, and then drawing on the energy storage management system to reduce the spikes in power usage that can lead to these severe charges. Agriculture Solar makes an industry specific solution by combining the three main areas of energy concerns: (1) improve cold storage efficiency with their LED lighting systems, (2) creating energy generation through their solar/wind systems, and (3) stabilizing power management through their energy storage systems. The future for refrigeration and frozen food facilities is here and now. 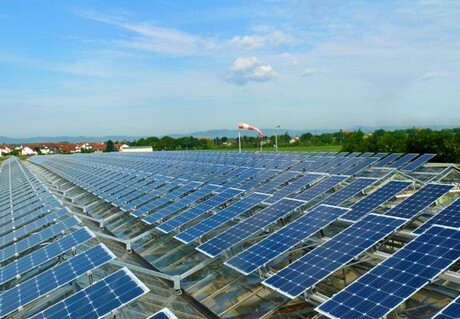 By using solar/wind, LED lighting, and power storage systems, the goal is for all producers to achieve energy independence and maximum exposure.